In the past two years, Playstation 3 owners have been able to use the NFL Sunday Ticket app on their consoles. While the price tag behind viewing all of the NFL games is a bit high, the ability to view those games won’t be returning to the PS3 in the foreseeable future. During their reveal event in May, Microsoft revealed that it had landed a partnership with the NFL to bring the games to the Xbox One. It’s important to note that at the time Roger Goodell stated that “from a technology standpoint, Xbox/Microsoft — there’s no one better.” That quote lead most to believe that it was an exclusive partnership, and Sony has confirmed that NFL Sunday Ticket will not return to the PS3 this season via IGN. 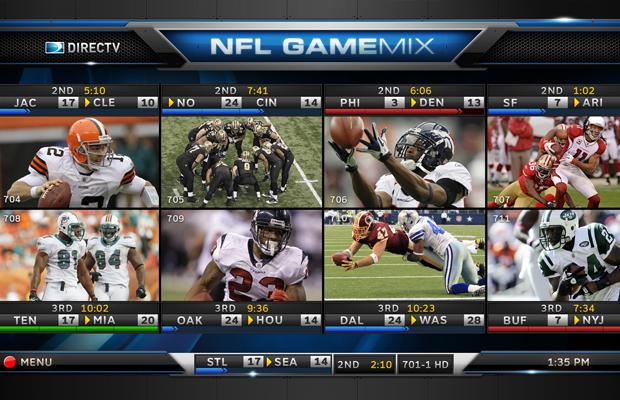 For fans still wanting to get NFL Sunday Ticket there is a more affordable solution, however. Grabbing the Madden NFL 25 Anniversary Edition will allow you to have access to NFL Sunday Ticket via your mobile devices or computer. Microsoft still hasn’t fully detailed how their NFL app would work, but we expect that to happen around the beginning of the regular season. What do you think about NFL Sunday Ticket not being available on the PS3 this year? Be sure to let us know what you think by leaving us a comment below, or continue the discussion on Facebook and Twitter.